With advice and guidance on guns, equipment, dog training and everything you could need to carry out a successful shoot. Having been at the forefront of the shooting community for 125 years, there are few better friends to take weekly advice from than Shooting Times & Country magazine. 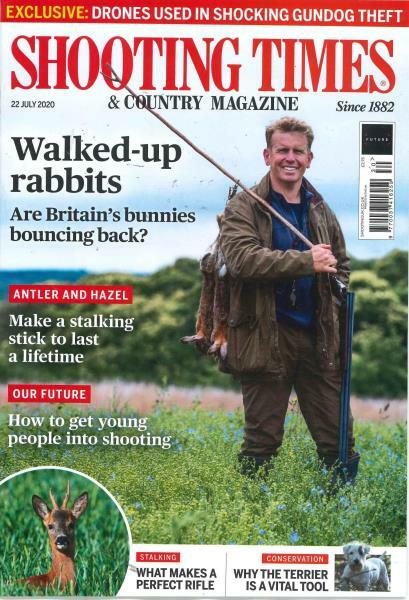 It’s renowned as being the finest weekly for bringing you the latest news from around the shooting world and often acts as a genuine voice of the countryside. With in-depth analysis and comprehensive coverage of disciplines such as game, rough and stalking, keen shooters shouldn’t leave the house without consulting this week’s issue. All supported by an array of stunning photography – choosing a Shooting Times & Country magazine subscription is an essential for fans of the sport.